Although the winter can leave your hair insanely dry, so can the hot summer months. 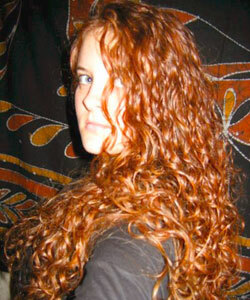 The combination of high temperatures, high humidity and high dew points can all lead to dry, frizzy waves. With the proper moisture reinforcements accompanied with a curl definer, your hair will be able to maintain shiny, defined waves long after the five second walk to the car in the unbearable heat. Co-wash or deep condition with the coconut, jojoba and avocado oil infused Jessicurl Aloeba Daily Conditioner. Your hair will reap the greatest results when you apply it to freshly-cleansed hair and allow it to sit for 2-3 minutes. Use it daily to keep your waves shiny and manageable. Rinse with cold water to close the hair cuticle and lock in moisture. If you need a little extra moisture, apply a dime to a nickel sized amount after you rinse. While your hair is still very wet, hang your head upside down and gently scrunch AG Hair Cosmetics Beach Bomb into your hair working in sections. Start on one side, scrunching in product from the ends up to the roots and work your way around your head. Once you are done, gently flip your head up and twist a few front sections around your finger for extra curl definition. You can either air dry or gently diffuse with your hair dryer on the lowest setting. Start with freshly washed hair for the best curl definition. After you have cleansed and conditioned your curls, apply a small amount of the lightweight, conditioning DevaCurl Light Defining Gel to enhances your waves. While keeping your fingers far apart, slowly shingle the products through your hair in sections from root to tip for even distribution. Be sure to scrunch slowly to encourage clumping. To decrease dry time without using heat tools, plop or scrunch your hair gently with the Curls Like Us Curl Cloths. The smooth-surfaced absorbent towels reduce frizz and create beautiful definition. Summer is far from over! August and September are right around the corner and temperatures are sure to steadily rise. Do not let your frizz rise with it! 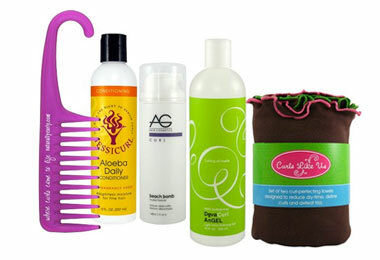 You can head of over to CurlMart and take advantage of the wavy, frizz-busting kits today!